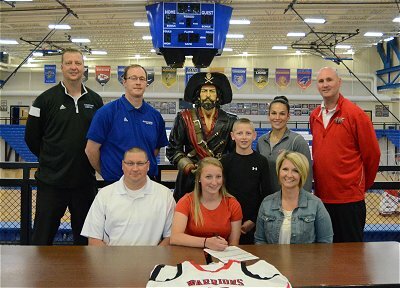 Charlestown Lady Pirate Basketball Senior stand-out Kaitlynn Henning; recently gathered with her family and school officials from Charlestown High School and Wasbash Valley College to sign a letter of intent and offer to play women’s basketball at Wabash Valley College. During the signing, Kaitlynn (center) was joined by her family; Matt, Matt, Jr. and Dora Henning; as well as (standing left to right) Charlestown HS Athletic Director Chad Gilbert, Charlestown Lady Pirate Head Coach Michael Prichard, Wabash Valley Womens Basketball Assistant Coach Kira Carter and Head Coach Zach Loll. “I really like the program and especially Coach Loll, its just a top notch program that I’m excited to be apart of”, commented Henning on the opportunity. Henning averaged 19 points per game this past season, and scored a total of 1,528 career points at Charlestown; making her the current second all time leading girls basketball scorer in school history. 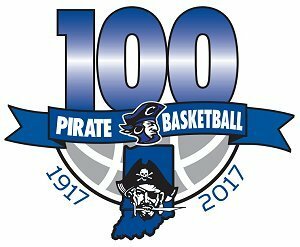 Henning has accumulated many honors while playing Lady Pirate Basketball, including most recently being named 2015 First Team All-State by the Indiana Coaches of Girls Sports Association. Henning has also been named Mid-Southern Conference Girls Basketball All-Conference and will play in the 2015 HBCA All-Star Game this weekend. 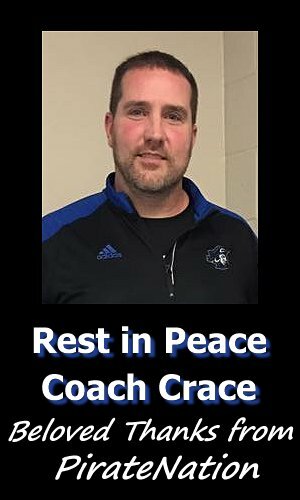 When asked about what attracted his program to Henning, Coach Loll commented “She’s a high character kid with good grades and a high basketball IQ. She has the ability to do many things….from working the point to attacking the basket”. Lady Pirate Coach Prichard voiced how proud he is about Henning moving on to play ball at the next level. “Kaitlynn has good speed for the level she going to; and one thing is guaranteed, she will be dedicated to finding a way to make anything she is expected to do on the court happen, she is great at that.” Henning will play National Junior College Athletic Association women’s basketball in the Great Rivers Athletic Conference. A sub plot to Kaitlynn’s signing is that Wabash Valley and Lincoln Trail both play in the same conference; so at least twice a season, she will play against long time team mate Justice Burdin, who signed to play for Lincoln Trail earlier this week. Pirate Nation congratulates Kaitlynn Henning and wishes her the best of luck playing women’s basketball at the college level next season. 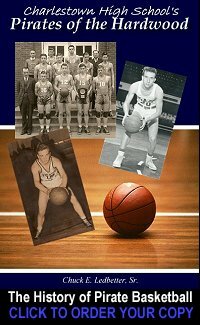 For more information about Wabash Valley Athletics, log on to www.wvcwarriorathletics.com.